CMOS: that sinking feeling again. ↑CMOS Sensor used in the D600 (image courtesy of Nikon). On September 15th, I posted some thoughts on the M9 and its CCD sensor, essentially reasserting my long-held preference for CCD (vs. CMOS) rendering, at base ISO. Two days later, Leica introduced the M and M-E. The new “M” — to refresh your memory — carries a CMOS sensor. Now, in my Leica M and M-E post, I reiterated my concerns about CMOS (vs. CCD) rendering, though I decided to “wait to see” before concluding anything. Last night, I happened to be perusing a popular photo-blogger’s site, in which he praises Nikon’s new D600 (yes, a CMOS-based camera) and reports “unbeaten” image quality. Accompanying his post is a sample image taken at high ISO, which is simply — how can I put this delicately — atrocious. More precisely, when you click into the higher resolution file, you are greeted by a muddy and flat arrangement of pixels devoid of detail or microcontrast. Thinking that the poor image quality is likely secondary to shooting at high ISO (even CMOS sensor-based cameras can’t produce miracles), or the harsh lighting from the on-board flash that was used, or the previous generation zoom lens that was used, or a combination of all of these factors, I shrug it off. Then I click into his review of the D600 and view the images taken at base ISO, with Nikon’s newest generation zoom lenses and primes (admittedly, Nikon’s newest lenses are not quite as highly regarded as Leica’s, but they’re pretty darn close). Although the additional images look appreciably better, they still fall short of what I’m currently getting out of my three year old M9. I fear that if Nikon — with all its experience and might — cannot coax better image quality out of their newest generation CMOS cameras, the new “M” may end up representing a step backwards for Leica (with respect to image quality at base ISO). With all due respect, Peter, fanning the flames of Leica CMOS fear, unrest and disruption seems way off the mark to me. As I responded on another thread, somewhere, I believe the sensor technology (CCD, NMOS, or CMOS) is a relatively small contributor to the output image quality at this point in time and greatly overshadowed by the quality of the supporting electronics and the signal processing applied, even at the raw output level. The Leica M9 CCD, custom designed for it by Kodak, is a far cry from the latest Sony 24 Mpixel high-volume-production CMOS chip and has surrounding it fundamentally better quality supporting electronics components, as it ought to being a $7000 vs a $2000 camera body. Similarly, I believe the new Leica 24Mpixel chip, custom designed for the new M hand in hand with CMOSIS and Leica’s own ASIC development group, should be no less a performer. Will it be the same? I doubt it. Will it be better? Define what you mean by that. But the X2 (with a Sony CMOS chip in it and Leica’s own ASIC driving its image quality) is no slouch on the image quality scale and proves they have skills needed to produce high quality images regardless of chip technology. In any event, you might prefer the M9’s performance, and others might prefer the new M. That’s fine … Your M9 will continue to work beautifully for a long time to come. I take a simple “hope for an advance, wait until I can test one in the flesh to judge” stance on these things. Feature-wise, the new M has everything I could want … but my M9 is not in my hands even a year, and I’ve hardly come to exploit half of what it can do yet. So I see no need to either rush into another $7000 purchase OR get all panicked about what the new sensor might perform like as yet. “I’ll wait and see” is my conclusion, so I don’t think we disagree. The rest of my post has to do with not being encouraged (so far) by what I see in the CMOS landscape, X1/X2 included. I’ve been working with the X2 for about two months now and find it a delightful performer. The DNG files it produces are wonderfully easy to work with, show amazing dynamic range, detailing, sensitivity, and tonality. I’m neither encouraged nor discouraged by what I see coming out of Nikon or Canon, or Sony, or whomever with respect to Leica. Leica tends to do things their own way, at their own pace. Well Leica have certainly made a very bold move with the new M but like you I feel the important question is this, is it a revelation for the M line or will it simply turn out to be Leica’s digital M5? Time will tell of course. No comment on your guess, my friend ;). As for current M9 prices, it’s definitely a good time to buy new bodies as well as lightly used ones. I have the same feeling you do Peter. I’ve seen several statements from Leica that the image quality will be “like” the CCD. I’m always a little cautious when I hear “just as good as” claims. The move from film to digital did not seem to carry any statements from Leica about being “just as good as film” (in reference to comments above). Time will tell but I see no harm posting what you feel today. Lets hope for good things to come. Happy shooting! I appreciate the feedback Michael. Indeed, I am actually keeping an open mind, but I do believe Leica has a monumental task ahead of itself. I’m with Peter on this. The only thing that’s allowing me to give Leica the benefit of the doubt that they’re gonna pull this off is because they went with a different CMOS vendor other than Sony (or Canon). I mean, there’s a reason a lot of MF backs are still using CCD. Unlike CMOS where everything is pretty much digital, CCD has some analogness (for the lack of a better tem) in it. Especially at base ISO, CCD is still better than CMOS regardless of the image processor. This is why–that as of this time–I have no interest in the new M…in fact, I’m MORE interested in the Monochrom now since the M announcement! Thanks. And “I’ll wait and see first” is all I’ve been stating. Ultimately, my eyes will tell me, although good point about the different CMOS vendor. The Leica M9 with the great Leica lenses is special, but I don’t think there is anything special about CCDs compared to CMOS sensors these days – maybe you can see a difference and prefer that difference, but I don’t. Many of Nikons older DSLRs were equipped with CCDs, but the new breed of CMOS sensors in for instance the D800 or D3200, which I have some experience with, are a lot better than these old CCDs, as they have a much wider dynamic range, color depth and not least exceptional high ISO performance. But that does not mean that these older cameras are no good. In the right hands exceptional results can be achieved from old cameras like the D1 and D2H and cameras with CCDs from many other brands. I saw a bit of a difference when DSLRs switched for CCD to CMOS. 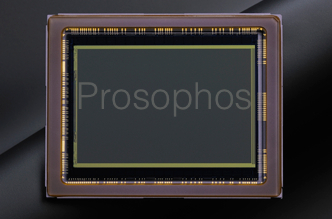 But with the new generation, my GOD, the new CMOS sensors are just fabulous looking when compared to CCDs. I am not talkikng about any lab results, I am just talking about ,,the look,,. Comparing a D5200 with a D80, there is no comparison, and I bet this will be the case with the new M.
Yes I see the ,, Leica look,, but I can clearly see it comes from the lenses, not the sensor. I was amazed how a D800 transformed when swiched to Zeiss lens from Nikons. Lenses are everything I think, and Leica is unique. I in that group that the new M will be a legendary camera. I agree with Mihai: given sufficient resolution and dynamic range, the lenses are the key. The CMOS vs CCD effect on image quality is completely overwhelmed by other factors, like image processing and lens characteristics. And the only things to do is to wait until the new M is actually available in a production form for testing and evaluation anyway. Otherwise, all these pronouncement are just doom and gloom speculation. I have a feeling the use of a new sensor won’t sit well with current Leica users. I have not seen any CMOS sensor/lens combo beat my M8/Summicron 35mm ASPH, I have a canon 5D11 with L lenses which are nice but can’t compare to that warm film like quality of M8/M9 shots. I have a M6 also and always compare film to digital the CCD sensor is the warmest and produces stand out images. Thank you for your thoughts Ian. Incidentally, my M8 is the only digital camera I’ve ever regretted selling.